Ever since Tom and I lived in Edinburgh we’ve owned a pocket-sized mountain bike guide book of wild trails around Scotland that is a useful source of inspiration. High on our “things to do” list has always been a ride enticingly entitled “Mount Keen by the Fungal Road”. 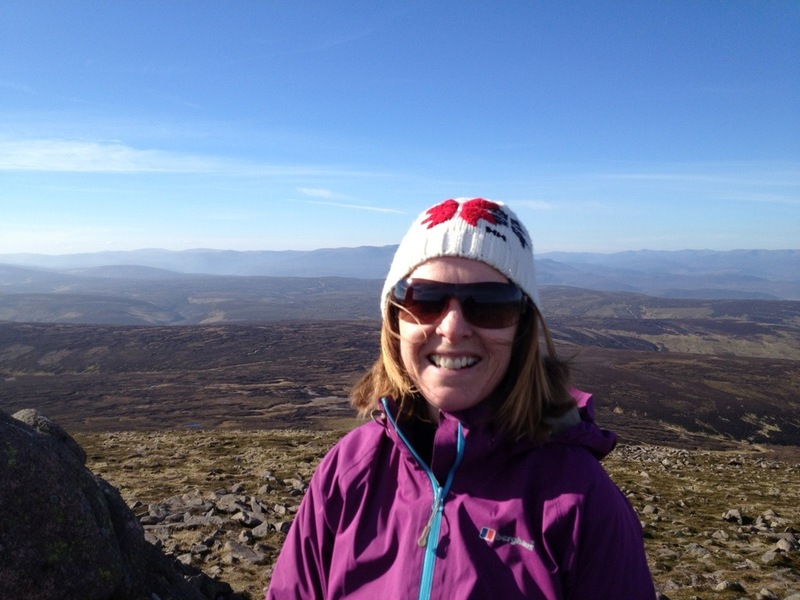 Mount Keen is Scotland’s most easterly Munro – so naturally, someone’s come up with the idea of riding up and down it, and equally naturally, others have followed. 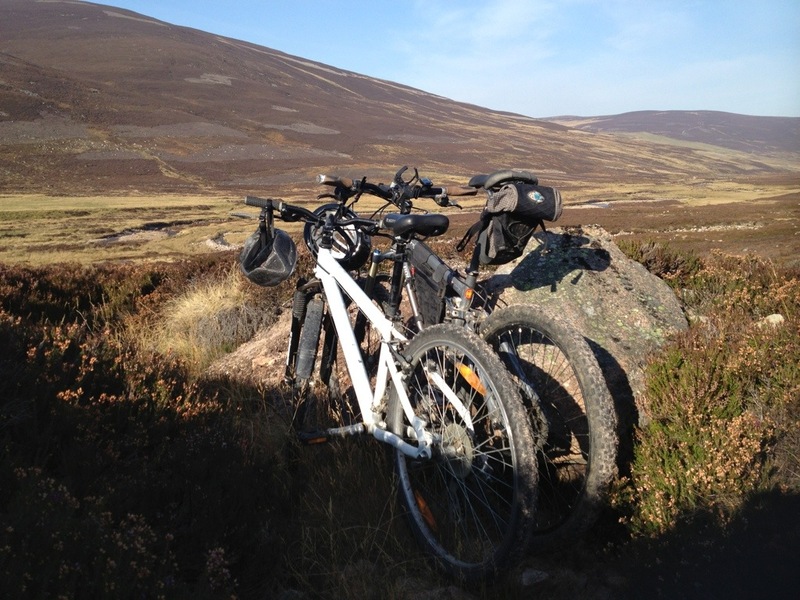 It’s a classic Cairngorm big day out: big climb, big descent, stunning surrounds. Though if the truth be told, we’d have wanted to do it for the title alone. Somehow life gets in the way, we get distracted by other things – a move to Australia and a little bike ride down the Americas among them – and Mount Keen remains on the “to-do list”. Until a day in October 2012. I’m staying with my close friends Malcolm and Karen in Aberdeen, Karen’s off work, the sun’s shining gloriously and surprisingly for this time of year, a bike ride’s proposed…. and Mount Keen is suggested. Sorry, Tom. I can’t resist. Just occasionally there’s a gift of a day so perfect you savour every moment: every scrunch of tyre on every stone, every ray of sunlight on every leaf. 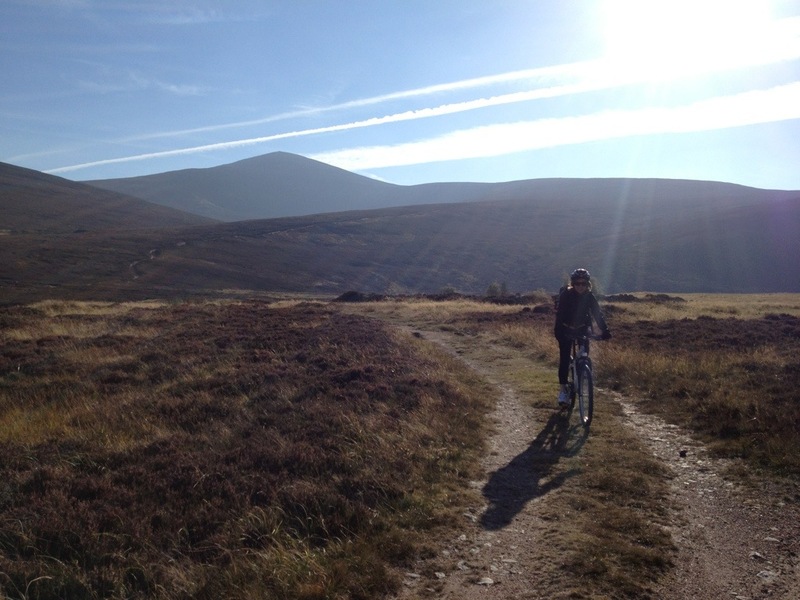 It’s not often you get the combination of mountain biking a classic route in the Cairngorms with one of your worldwide lifelong favourite friends on a cloudless, windless day in October. Not often? It’s as rare as hen’s teeth. Some days just can’t be improved on. 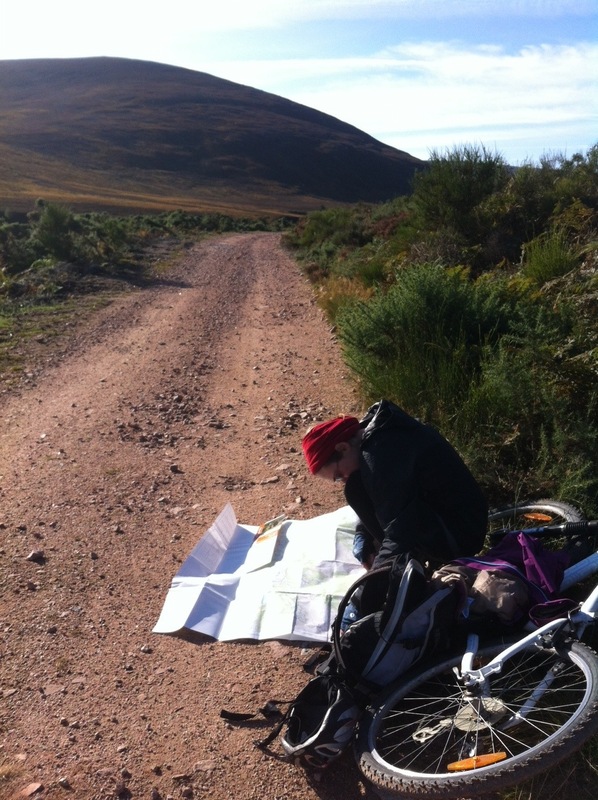 We don’t go by the Fungal Road, but a shorter, simpler version straight out and back through the scenic Glen Tanar forest. We push our bikes as far up Mt Keen as we can be bothered with, walk the rest of the way and enjoy a picnic lunch at the summit. Descend, (of course wishing we’d pushed the bikes a bit further than we had) and are back in Aberdeen in time to collect Karen’s youngest from school. Sunshine all the way, and those of you who know Scotland will appreciate what a gift this is. Next Sarah: DO NOT try this at home!